Boldo trees grow in Chili and surrounding countries. 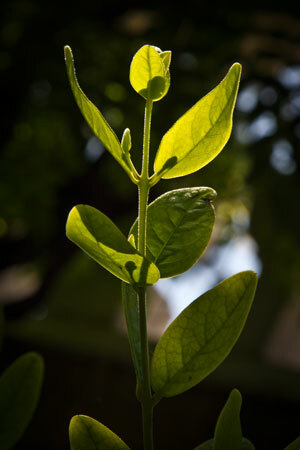 Locals use the leaves to make a fragrant tea to promote digestion and treat indigestion. Extracts contain essential oils and isoquinoline alkaloids (boldine) that fight infections, reduce cramping pains and increase bile flow. Western herbalists use boldo for digestive conditions and in particular to dissolve gallstones and relieve biliary pain. Its antimicrobial compounds make it beneficial for colds, pneumonia, and urinary tract infection.